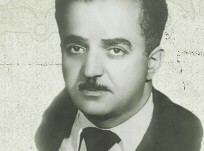 Uzeyir Hajibayov was an outstanding Azerbaijani composer and playwright, the founder of national professional music and national opera and the recipient of the title of People´s Artist of the USSR and of USSR state prizes. 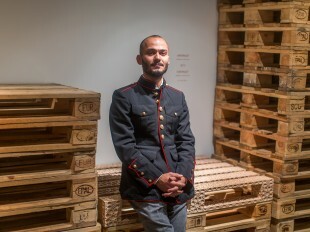 Uzeyir Hajibayov received his elementary education in Shusha in Karabakh and went on to study at the seminary in Gori, Georgia. 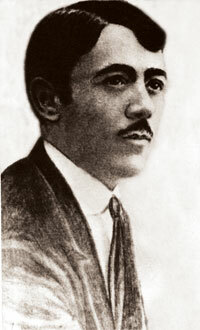 Uzeyir Hajibayov furthered his musical education with courses at the philharmonic society in Moscow and in 1913 studied at the St Petersburg Conservatory. 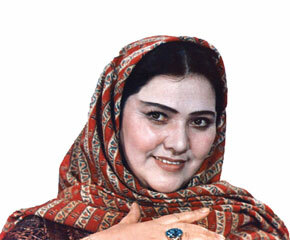 olmasin, bu olsun and Arshin mal alan have been translated into many languages and performed worldwide. There have also been several film versions of the comedies both in Azerbaijan and abroad. Arshin mal alan was first filmed in 1916 by the Filma company. Director Boris Svetlov cast wellknown stage actors Huseyngulu Sarabski as Asgar, Alakbar Huseynzadeh as Soltan bey, Mirza Agha Aliyev as Suleyman and Hanafi Terekulov as Vali. In those days women were not allowed to appear on stage or even in public, so men played female roles. 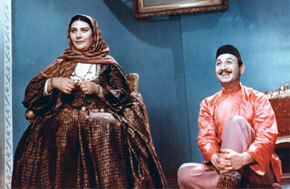 The director cast Ahmad Agdamski as Gulchohra and Yunis Narimanov as Jahan. The film was first shown on 3 January 1917 at Baku´s Forum Cinema. As a silent film, it was limited in its depiction of an operetta. 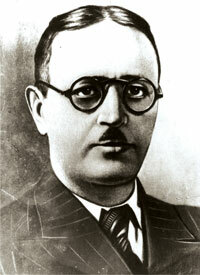 Uzeyir Hajibayov was not pleased with the quality of the film and stopped its showings. Nevertheless, the film was shown all over the Caucasus and became popular despite the lack of sound. 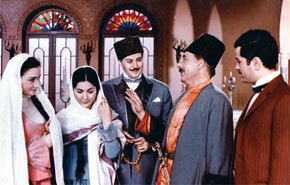 The second screen version of Arshin mal alan was made in 1945 by the Baku film studio. 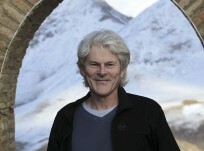 The film received critical acclaim, winning Soviet and international awards. The music, dramatic tension and design all lent to the film´s success. parental insistence. To love, be loved and create a happy family are seen as the desire of modern youth. This is the dream of the male lead in the film, the merchant Asgar. On the advice of his friend Suleyman, Asgar disguises himself as an arshinmalchi (a pedlar who goes from place to place selling goods) and starts to visit homes selling cloth to girls and women. 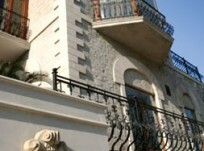 The film shows a variety of houses with courtyards and balconies close to one another. 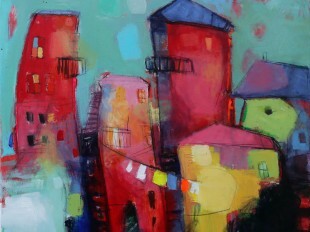 Asgar finds his happiness, Gulchohra, in one of the courtyards. The film´s direction (directors Rza Tahmasib and Nikolay Leshchenko) and photography (cameramen Alisattar Atakishiyev, Mukhtar Dadashov) are extremely natural. 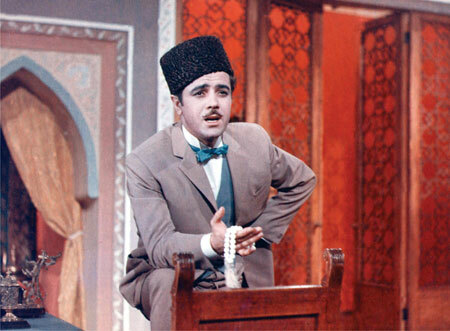 His performance as Asgar brought singer Rashid Behbudov his early fame. Leyla Badirbayli was a very successful Gulchohra. The film premiered on 18 September 1945, on Uzeyir Hajibayov´s birthday. Having received positive reviews, Arshin mal alan was shown abroad too. 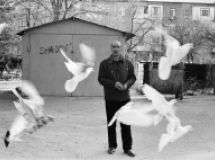 Uzeyir Hajibayov´s fine music and the pithy humour of the people of Azerbaijan earned the film enthusiastic audiences in many countries. This letter, couched in diplomatic language, shows that from 1941 Moscow was against a remake of Arshin mal alan. The discussion included such comments as “Idealization of the lifestyle of khans and bays” and “The photography resembles an advertisement”. But quite a few positive opinions were expressed too. Directors Mikhail Romm and Nikolay Okhlopkov stated at the meeting: “What was your aim in making this film? Perhaps you wished to say that life before the revolution was as fine as it is on screen?” “Perhaps by making the actors hair shine with brilliantine you wished to incite dealers against the Soviet people?” and so on. Zhdanov, secretary of the Central Committee of the All-Union Communist Party. No member of the production team was invited to this meeting. A Moscow filmmaker who attended the meeting told director Mammad Alili that Zhdanov had agreed with the general criticism of Arshin mal alan, but had seen Stalin watching the film with interest (Stalin usually watched all films.) When Zhdanov saw Stalin laughing out loud at the events on screen, he told the leader: “I said to the comrades that it is a good film, an excellent comedy, but they did not change their minds.” According to director Rza Tahmasib, the film was first released in two Moscow cinemas. When the management saw the stream of people flowing to the cinemas, copies were made and distributed to 16 other cinemas. In the ensuing years Arshin mal alan was shown in more than 130 countries under the name Love Beneath the Veil and brought fame to its makers. It is interesting that in 1946-47 the number of viewers would be counted and the director would receive a percentage fee depending on audience size. 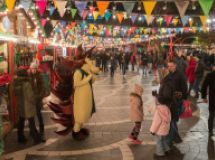 However, as numbers became astronomic, the fee was cancelled. 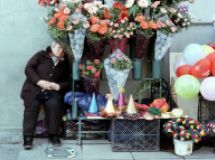 A sociological survey held to mark the 100th anniversary of Russian cinema asked respondents to choose their 100 favourite Soviet films that had made a huge impact on the development of Soviet cinema and foreign films shown on Soviet screens. The films were subdivided into three lists, Gold, Silver and Bronze. 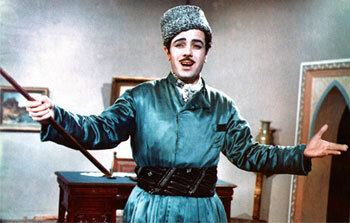 Cinema experts unanimously put the comedy Arshin mal alan (1945) in the Gold List. Screen sizes were soon extended, technicolour was introduced and the technology of both filming and sound recording developed considerably. Films were shot on high-quality film in both Soviet and foreign production. Given this, the Sovexportfilm association of the USSR Committee of Cinematography commissioned a remake of Arshin mal alan from Azerbaijani film-makers. 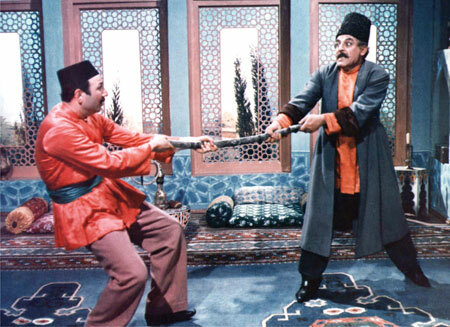 The Jafar Jabbarli Azerbaijanfilm studio made the new version of Arshin mal alan to mark the 80th anniversary of Uzeyir Hajibayov´s birth. This time the film was shot in large format and in colour. The film was directed by Tofiq Taghizadeh and the music was adapted by composer Fikrat Amirov. 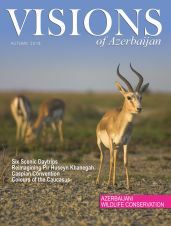 Many scenes were taken from the script and shot in beauty spots in Azerbaijan. Good use was made of the amazing natural landscapes of Goygol and Quba. Tofiq Taghizadeh´s direction is not as good as his predecessors´. The actors do not put in such good performances and some of the additional scenes are a distraction. Even though the third version of the film was weaker than the second, it was popular with both Azerbaijani and foreign viewers. The film became a fixture in cinema and TV repertoires. All this was thanks to the immortal music and dramatic art of Uzeyir Hajibayov. fragments of music sounded out of tune. 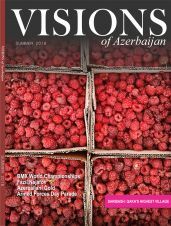 The story on the misappropiation of the operetta Arshin mal alan by Armenians goes back to the early 20th century. 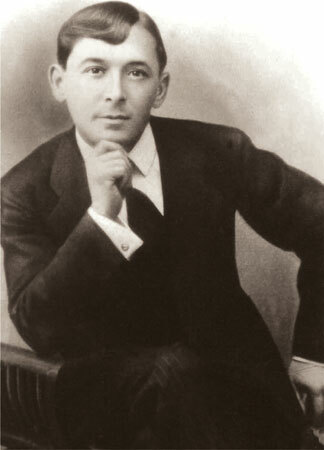 In 1915 the operetta Arshin mal alan was translated into Armenian in Tbilisi and performed there. On the eve of the establishment of Soviet power in Georgia a group of Armenian actors and the operetta´s translator emigrated. They took the operetta´s score and libretto with them. They performed the operetta on stage in Istanbul and Athens and then left for the USA. 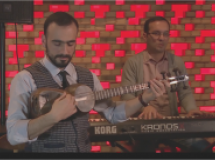 Send me power of attorney and I will collect your royalties and send them to you…” Uzeyir Hajibayov could not act on this, as according to the rules in place at the time nothing could be done to protect copyright. Soon afterwards a book with the score of Arshin mal alan was published in New York. 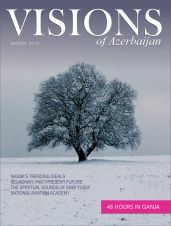 The book´s cover did not feature Uzeyir Hajibayov´s name at all, just the name of the plagiarist Magalian. in the Russian State Film Fund that quotes the Catalogue of the American Film Institute. Released on 5 March 1937, the film was directed by Setrag Vartian who also played the role of Asgar. Louise Barsamian played Gulchohra. The alternative name of the film was Love of a Pedlar. The film tells the story of Asgar, the son of a rich Iranian merchant, who has returned from Europe to get married. He contrives to see the girl before the wedding and to marry for love, thus opposing his country´s customs on arranged marriage. The names of the arias in the film were: I will find a girl for you, Where are you, my darling, Hear my voice and The power of gold. The programme made for the film named Vartian as the creator and director of this Armenian stage play and one of its performers. The Soviet film made in 1945 was supposedly based on this opera and received the Stalin Prize for a film of fiction. 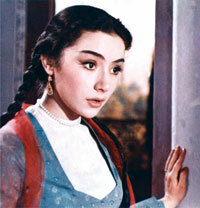 The film was described as a romantic musical story (an Iranian story). Arshin mal alan was made by Marana Films and is entered in the USA´s cinema encyclopaedia.